The live music industry continues to grow at an incredible rate. According to a report released by PwC, the estimated revenue of the US concert business in 2015 was $9.3 billion and is expected to grow to $11.69 billion in 2020. With this in mind, touring artists are consistently looking to step up different aspects of their production quality to give concert goers the best possible experiences. 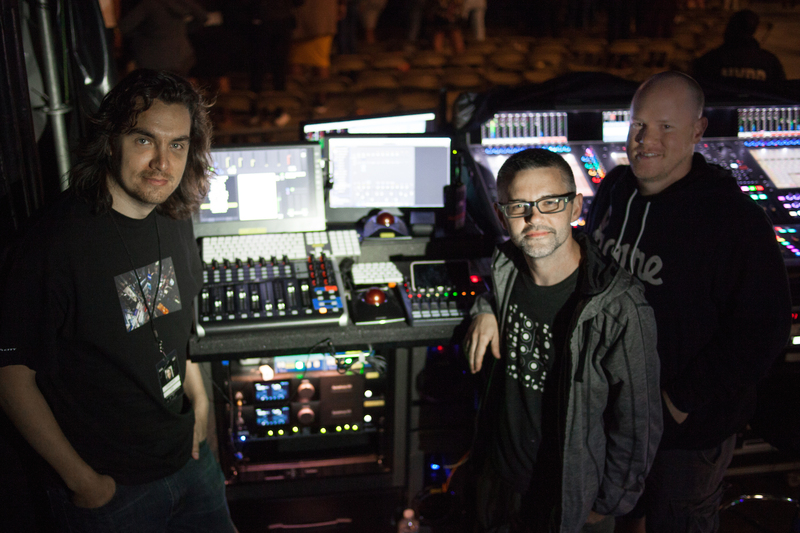 For Beyoncé’s Formation World tour, the production team was challenged to recreate each aspect of her songs in realtime as best as possible, reducing their reliance on backing tracks. This included the unique challenge of recreating special lead vocal FX that had been used on several of her songs. Typically, these sort of album FX are seen as too complex for a front of house engineer to recreate live and so major artists often rely on backing/playback tracks to represent these parts or simply omit them entirely. 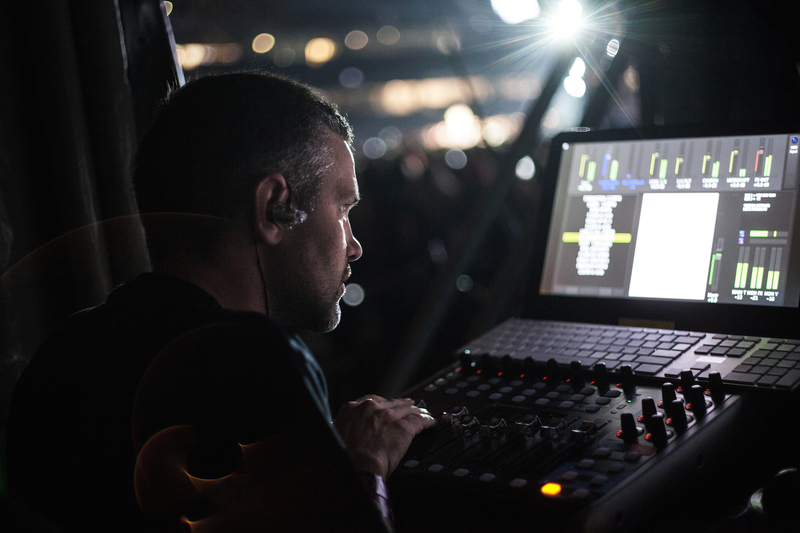 This was not an option for the Beyoncé production team, so they to turned to Carl Golembeski as vocal FX engineer. “The goal of this role is to recreate, in the most authentic way, the special vocal effects that Stuart White has made for the last few albums,” says Golembeski. At the heart of this setup, Golembeski utilizes Apogee’s Symphony I/O Mk II Thunderbolt, in conjunction with Apple’s MainStage Software. Beyoncé’s primary microphone is sent directly through the Symphony I/O Mk II and into MainStage where FX chains can easily be turned on and off. Then, the signal is sent OUT of Symphony I/O to the front of house and monitor consoles where its mixed in with the rest of the tracks. 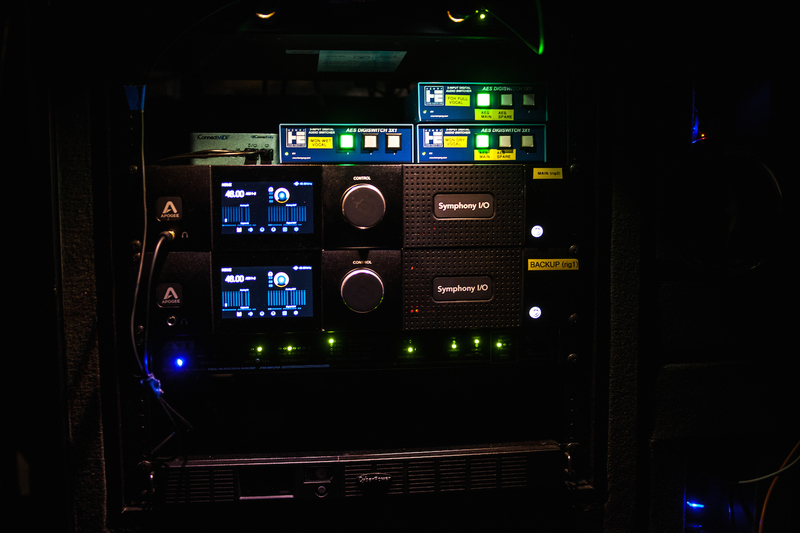 The low latency offered by Symphony I/O Mk II Thunderbolt allows this all to happen in real time, without adding any audible delay to her vocals. With an audience of around 40,000 to 60,000 each night, the stakes are always incredibly high and so there is no room for error. Apogee had the opportunity to check in with Golembeski mid way through the tour to learn more about this unique setup and his experience with it. What is the live setup you’re currently running for Beyoncé’s vocals on The Formation World Tour? Currently we are using 2 Mac Pro 12-core machines, 2 Apogee Symphony I/O Mk IIs, Apple’s MainStage software, a collection of plugins that is way to long to list, Behringer Xcontrol, iConnect midi2+ (which is key to redundant fader moves) and a few AES switchers for output. There are two identical systems running simultaneously, so that we have a backup we can easily switch to if we ever need to. So her voice comes from the mic to my rig where it gets split to the Apogee Symphony I/O Mk IIs and then into MainStage for processing. We then send it back out – a blend for the front of house and a separate wet/dry to James Berry and Jimmy Corbin so they can blend for monitors as needed. How is this different from your normal tours and how has it benefited the Beyoncé tour experience? Well it’s completely different than any tour experience. There are no real maps for this path (Although I can probably write a book on it now). The demands are very high as far as what we are asking the equipment to do. 64 sample buffer size at 48k is what we find to be a good blend of sonic quality and a feeling of yumminess for B. It’s important that she can feel good in order to be present in her performance. 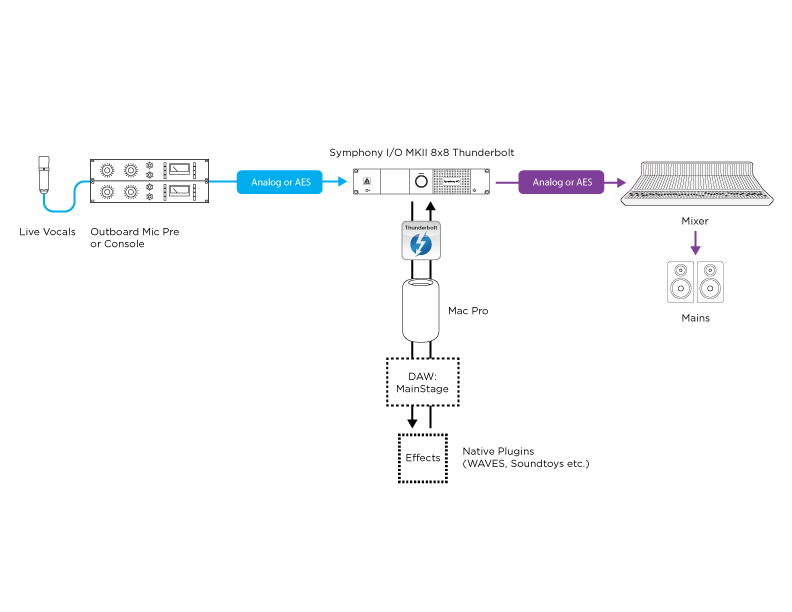 Finding the delicate balance where latency was acceptable for realtime performance, stability of the host and the plugins demand on the computer was our biggest undertaking. As we were putting together the technology for this system, there were times where we became frustrated, uncertain, and as we started adding more songs, the demands on processing got higher, latency becomes an issue and you’ve got to accept that we have to try another way at some point. The fact that this is an interdependent system required that we put our egos aside as a group of individuals and work together to figure it out. And every time we did that the group genius emerged and a solution presented itself. Our interpersonal relationships also expanded as a result. It was truly remarkable in that sense. How many and what kind of vocal effects are being used throughout the performance? Currently we have about 15 compositions that have programmed FX. We use unique combinations of plugins like Soundtoys, Waves, Vallhalla, Antares, Slate, Kush, Mcdsp and more. We had to reevaluate some stuff like the use of reverbs because we are in stadiums. Also, the timbre control on things like distortion on “Dont Hurt Yourself” and “Ring the Alarm” where its a dance in managing feedback control, timbre and level to maintain the integrity of the distorted album sound. What has been your impression on the reliability of the Symphony I/O Mk II? Its by far the most stable and repeatedly reliable interface I have found. I’ve tested everything that’s available. Some manufacturers just want you to use their stuff because it’s a gig this massive and it will look good for them. There were a few simple requirements I had: Integrity in the reliability and functionality of the unit and making that a repeatable experience. Symphony I/O Mk II immediately halved my latency time, allowing me to use a buffer setting of 64 samples. There was no other interface that had anywhere near that performance in my trials. Although they may make promises about their performance, there aren’t many companies walking the talk. When you start pulling the skirts up to see whats under the hood for real you see who is concerned with sales and who is concerned with maintaining integrity fairly quick. Is there any noticeable latency? No. If there was, I wouldn’t be here. She wouldn’t be able to sing in time, and that would be fairly problematic. What made you choose to run through Symphony? That was another group effort honestly. I was dealing with a retail company and was receiving gear that wasn’t really solving anything. It was getting cumbersome and time was of the essence. Manufacturers were trying to push stuff on me that was not acceptable for our needs on this tour. But I was still responsible for providing results. I was looking for some cables and had credit at Pro Audio LA. I didn’t know they sold gear but noticed on the website that they did. Being that Jason from Pro Audio LA was so kind in returning my cable order I thought I’d reach out to him and see if they had any ideas. They recommended the Apogee Symphony I/O Mk II and invited me to bring my system to test it there. I’m big on human interaction and how one shows up – its a great gauge of integrity. When I arrived at Pro Audio LA, we setup at the studio upstairs and immediately I noticed the latency was cut in half. We finally had something that was a possible solution after almost 3 weeks of trying all kinds of DAW, hardware and plugin combinations. Now here we are. In Formation. haha.